North Korea will shift to collective rule from a strongman dictatorship after last week’s death of Kim Jong-il, although his untested young son will be at the head of the ruling coterie. Syrian forces killed 111 people ahead of the start of a mission to monitor President Bashar al-Assad’s implementation of an Arab League peace plan, activists said on Wednesday, and France branded the killings an “unprecedented massacre”. Prime Minister Yousuf Raza Gilani today said the US must guarantee Pakistan’s sovereignty and ensure that there is no unilateral action like the raid that killed Osama bin Laden under the new terms of engagement that will define bilateral relations in future. Southern Chinese authorities have given in to key demands of protesting villagers after a nearly two-week standoff with the police, agreeing in a rare compromise to release detainees and return some confiscated land to farmers. An official US report has identified Nehru Place in New Delhi among the top 30 notorious IT markets of the world, dealing in goods and services infringing on the intellectual property rights (IPR). Text, lies & videotape: People likely to lie when texting! People are more likely to lie when texting and most honest in video chats, says a new study. Researchers at University of British Columbia have found that people are more likely to lie via text compared to face-to-face communications, video-conferencing or audio chat, the 'Los Angeles Times' reported. The source added that the military, which is trying to develop a nuclear arsenal, has pledged allegiance to the untested Kim Jong-un, who takes over the family dynasty that has ruled North Korea since it was founded after World War-II. The comments are the first signal that North Korea is following a course that many analysts have anticipated, it will be governed by a group of people for the first time since it was founded in 1948. Both Kim Jong-il and his father Kim Il-sung were all-powerful, authoritarian rulers of the isolated state. North Korea’s collective leadership will include Kim Jong-un, his uncle and the military, the source said. 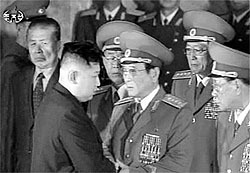 Jang Song-thaek, 65, brother-in-law of Kim Jong-il and the younger Kim’s uncle, is seen as the power behind the throne along with his wife Kim Kyong-hui, Kim Jong-il’s sister. So too is Ri Yong-ho, the rising star of the North’s military and currently its seniormost general. The younger Kim, who is in his late 20s, has his own supporters, but is not strong enough to consolidate power, analysts said. “I know that he’s been able to build a group of supporters around himself who are of his generation,” said Koh Yu-hwan, president of the Korean Association of North Korean Studies in Seoul. 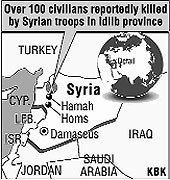 Rami Abdulrahman of the Syrian Observatory for Human Rights said 111 civilians and activists were killed in addition to over 100 casualties among army deserters in Idlib province, turning Tuesday into the “bloodiest day of the Syrian revolution”. The main opposition Syrian National Council demanded international action to protect civilians. The escalating death toll in nine months of popular unrest has raised the spectre of civil war in Syria with Assad, 46, still trying to stamp out protests with troops and tanks despite international sanctions imposed to push him onto a reform path. Idlib, a northwestern province bordering Turkey, has been a hotbed of protest during the revolt, inspired by uprisings across the Arab world this year, and has also seen escalating attacks by armed insurgents against his forces. The Observatory said rebels had damaged or destroyed 17 military vehicles in Idlib since Sunday and killed 14 members of the security forces on Tuesday in an ambush in the southern province of Deraa, where anti-Assad protests began in March. Events in Syria are hard to verify because authorities have banned most independent reporting. But Tuesday’s bloodshed brought the death toll reported by activists in the last 48 hours to over 200. The main opposition Syrian National Council said 250 people had been killed on Monday and Tuesday in “bloody massacres”, and that the Arab League and United Nations must protect civilians. It demanded “an emergency U.N. Security Council session to discuss the (Assad) regime’s massacres in Jabal al-Zawiyah, Idlib and Homs, in particular” and called for “safe zones” to be set up under international protection. It also said those regions should be declared disaster areas and urged the International Red Crescent and other relief organisations to provide humanitarian aid. Gilani made the remarks while addressing a meeting of Afghan and Pakistani parliamentarians at the Prime Minister’s House. Pakistan wanted to take up three issues with the US that will be part of the “rules of future engagements” between both countries. Besides guaranteeing Pakistan’s sovereignty and ensuring that there are no unilateral actions, the US must share “credible and actionable information” so that Pakistan can take action against militants, Gilani said. Gilani further said US drone attacks, which cause collateral damage, “must be stopped as these were grossly detrimental to the government’s efforts to isolate the terrorists from local population”. Guangdong’s deputy Communist Party secretary Zhu Mingguo told Wukan village protest leader Yang Semao today that four villagers being held by the police would be released over the next few days, Yang told The Associated Press. “So now we are cautiously optimistic,” Yang said. The significance of the authorities’ unusual concession in Wukan depends on how the details are played out, but it could affect the way other protests are handled, particularly in the corner of coastal southern China that has seen periodic unrest over the last few years. To Wukan’s northeast, the coastal town of Haimen saw a second day of protests today over a planned coal-fired power plant. 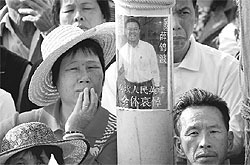 Conflicts over land disputes and other issues in much of Guangdong province have been intense because the area is among China’s most economically developed, pushing up land prices. Underscoring the government’s concerns about public discontent, China’s security czar Zhou Yongkang met today with law and order officials and told them to improve the resolution of social conflicts and promote fair and honest law enforcement, state media reported. “Nehru Place is, reportedly, one of the many markets in major cities throughout India that are known for dealing in large volumes of pirated software, pirated optical media containing movies and music, and counterfeit goods,” said the report released by the US Trade Representative. The Out-of-Cycle Review of Notorious Markets report identifies more than 30 markets that typify the problem of marketplaces that deal in goods and services that infringe on the IPR and help to sustain global piracy and counterfeiting. The results identify examples of both Internet and physical marketplaces that have been the subject of enforcement action connected with counterfeiting and piracy, or that may merit further investigation for possible IPR infringements. The announcement concludes the review process launched on September 22. They have based their findings on an assessment after an experiment involving 140 students who were grouped into pairs and asked to engage in a role-playing game. One student took on role of a stockbroker, the other student played a buyer. The researchers told the "stockbroker" that the stock they had to sell would lose 50 per cent of its value in one week. They also gave the "stockbroker" a financial incentive to sell as much of the bad stock to the "buyer" as possible. The study found that the stockbrokers were most likely to engage in duplicitous behaviour -- either lying about quality of the stock, or not mentioning how bad it was -- if they conducted the buy or sell conversation via text message. The dishonesty generally revolved around lying about the quality of the stock or simply not mentioning how good or bad it was. Surprisingly, the stockbrokers were most honest about the stock if the conversation occurred through video. In the honesty stakes, video beat face to face conversations and also audio chat. 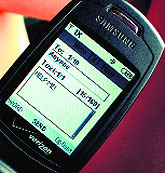 The researchers said the dishonest behaviour was largely caused by the "lean media" nature of texting. But the big surprise for researchers came from the buyers' side. When they asked buyers how angry they were that the stockbroker had lied to them, the researchers found buyers were more furious if they had been lied to via text than if they had been lied to in a face-to-face conversation.